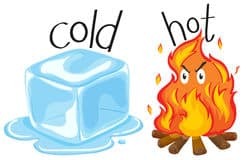 I am hot but if you remove first two alphabets then I will become really cold. Who am I ? Malar Starter Answered on 15th February 2018.